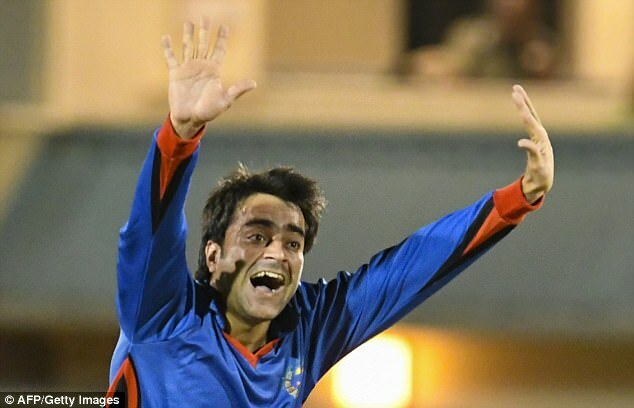 English counties want to sign teenage Afghanistan star Rashid Khan as an overseas player but could have their bids held up by red tape. Leg-spinner Khan, 18, is rated higher than any England bowler in one-day and Twenty20 international cricket, sitting eighth and fourth in the respective ICC rankings. However, attempts to recruit him for English domestic action have been hindered by work visa difficulties. Under regulations tightened eight years ago, only those deemed to be competing at the elite level qualify to feature here as overseas players, with the â€˜elite levelâ€™ understood to relate to those from Test-playing nations. Following last weekâ€™s decision to grant Afghanistan Test status, though, the ECB contacted the Home Office for clarification on whether this makes Khan available now or whether his country must first participate in a Test match. On an individual level, he meets the qualification criterion of 15 international appearances across all formats over the past two years, having taken 63 wickets in 29 ODIs and 42 in 27 T20s. Sportsmail understands two counties have made contact to sign him for the 2018 season. In February he earned £500,000 at the Indian Premier League auction by signing for Sunrisers Hyderabad.